Foodhall, Sheffield’s pay-as-you-feel dining room, is teaming up with Turning Earth café to host a three-course vegan dinner on 6 December at the Eyre Street venue. With a focus on good food, good people and good spaces, Laura von Nordheim of Turning Earth will be serving a delicious three course vegan menu made using organic, local, seasonal and Fairtrade ingredients. Diners are welcome to bring their own alcoholic drinks to enjoy with dinner, and Foodhall recommends diners donate between £7 and £10, and all are invited to participate, whether you have got lots or little to give. For those who don’t Foodhall, you can find the venue on the corner of Eyre Street and Matilda Street in Sheffield’s Cultural Industries Quarter. It is a pay as you feel dining room and freecycling food network ran by the community promoting cross societal engagement through food. 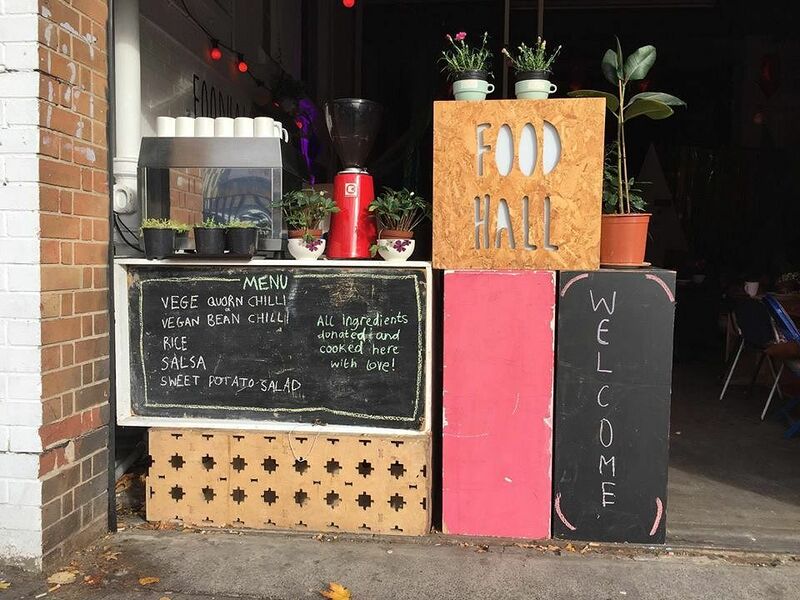 Foodhall is not only a place for people to meet and eat, the venue is home to artist studios, and regularly plays hosts to gigs and movie screenings. The people behind Foodhall create a welcoming atmosphere where you can meet friends, make connections, and build a network of good people. On the night there will be two sittings at 6:30pm and 8:30pm, to book message Turning Earth.